After almost completely convincing myself that I wouldn't make it in the Washington DC Design House, (I tend to do that when it gets down to the wire & I get really nervous) I got a call today from one of the Design House Committee members letting me know I'd been accepted. I was kind of in shock and just so insanely happy when I listened to her voicemail. 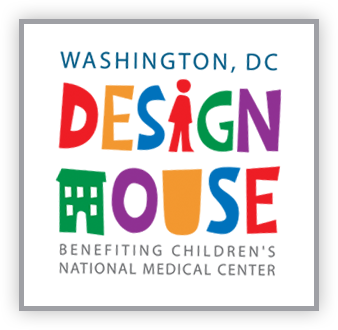 The DC Design House benefites The Childrens National Medical Center﻿ which is "the largest non-governmental provider of pediatric care in the District of Columbia and treats all patients regardless of their families' ability to pay. Each year Children's provides more than $50 million in uncompensated care. As a nonprofit hospital, Children's National relies on the generous support of individuals, corporations, and foundations to meet the health needs of children..."
I'll keep you posted as the date nears, but it's set to run April 9th - May8th. Do you remember this succulent that had me all excited a while back? It was growing in the garden room of the design house. It completely embodies the feeling I'm after for the space I have (an upstair bedroom/ sitting room) and I just love how fresh and luminous it is. I'll definitely keep you posted on everything and if you're in the area, hopefully you'll be able to make it to see for yourself! I'm teaming up with some amazing people including local artist John Matthew Moore. A huge congratulations to the other designers selected and cheers to the 2011 House! Congrats, Lauren! I can't wait to see what you do with your contribution to the house! I love the DC Design House! In fact, it's where I found out about John Matthew Moore, a wonderful artist based out of McLean who I bought a print from last year. I can't wait to see what you do with your space! I'm working on the other side of things for the Charlottesville Design House, mostly helping with marketing this year. It's been eye opening! Congratulations! What a fun opportunity. Can't wait to see what you whip it into. Great news, Lauren! I can't wait to see what you invent! They are lucky to have you. Do share as it progresses, Please?? Congratulations!!! It's going to be a beautiful room. So very excited for you. Congrats, Lauren. That's great news, and truly well-deserved and hard-earned. Can't wait to see the finished garden/canopy room! Very cool and congratulations! Can't wait to see your finished design! Fantastic! The words luminous and fresh certainly make me curious to see what creative design you come up with for the garden room. Congrats and have fun with this! Congratulations, Lauren! I am absolutely thrilled for you! What an honor. I am looking forward to seeing what you do with your space. I know it's going to be amazing! Congrats to you! Would you please explain from the beginning about doing a room like this...who pays for the paint, furniture, who benefits, why do you do it (it may be obvious but I would like to hear what it is all about).Just write about this topic for someone like me who just doesn't know about it at all. I bet I am not the only one who would like to hear the back story besides seeing the beautiful stuff that you will do inside! Thanks. * Wow Lauren, this is such an H*O*N*O*R~~~ you should be SOOO PROUD!!! What an opportunity to "showcase" your thoughts and beautiful work!!! ... And plz REMEMBER, if/when things "go crazy" (which usually happens several times! ), that this SHOULD BE F*U*N for you... work hard, yes, but you're not building the Parthenon here, so again, HAVE F*U*N with it, and all the new friends you'll meet, enjoy and even learn from!!! I love the fact that you are honored and thrilled....I know your room will evoke so much meaning. Delighted for you and for all the super-talented hard working designers and artists to have a venue to show their gifts. What a fabulous honor for you Lauren, CONGRATULATIONS! Just shows they know how hugely talented you are, like we didn't already know that! I'm very happy for you. How could they not have you??? There wasn't a doubt in my mind, but still, it's so good to know for sure! Congratulations! I'm definitely planning a trip up to DC in the Spring to see the house! so happy for you Lauren.. I'm thrilled for your Lauren, Congrats!!! Congrats, girl! That's so awesome. You should be celebrating, dancing and giddy! My sister lives just outside DC, so I'm definitely coming out to see it!!!!! How inspiring you are....to change your career field, study design from home, have a young family and husband plus a home you work on too. Such a mentor to me. Thank you! Wonderful news, congratulations! You are on fire these days! Cannot wait to see what you do. Congrats on Design House! 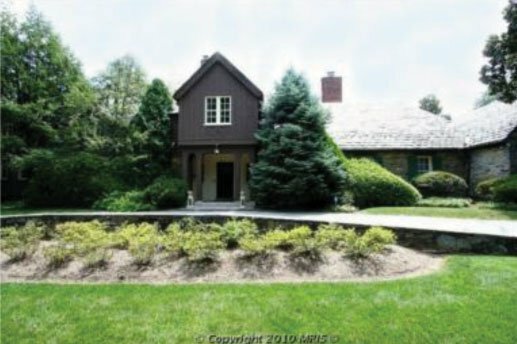 They have one of these in my city and this weekend is a preview to see the house before all the makeovers, should be fun. Look forward to see your space in the house! YEAHHH!!! SO so happy for you, it could not have happend to a nicer person and an amazing designer! I cant WAIT to see what your plan is for the space!! Congrats Lauren! What an amazing opportunity...I have family up in DC so will definitely make it a stop when I go up there! Lauren- Wonderful news! And such a great cause it benefits, too! With that giant gorgeous green plant as a bit of inspiration, I can't wait to see what you do with your room! Woo! Congrats! How exciting is that?! Lauren...congratulations! That is a big honor (and a big undertaking!) Each year I blog about upcoming designer showcase houses and give the dates and websites of those I am aware of. It just posted or I would update it with yours but I am sure there will be plenty of press. Cant wait to see the finished product but I also hope you give us updates as you go...as much as you are allowed to anyway. Congratulations!! How exciting!! This is such an amazing opportunity and I can't wait to see how your space turns out. I live right outside of DC so I will definitely be visiting it this spring! That's fantastic news!!! I know your contribution will be beautiful! Congratulations!!! I wish I could come see it in person but I will wait with anticipation for your posts! Doing a happy dance for you Lauren! Congratulations! I've read your blog for a few months now and am always inspired/amused/intrigued by it. (I should comment more, but I usually read on my phone and am bad at typing on it!) I live in Arlington so hopefully I can come and see in person what you come up with for your room. Congratulations Lauren!! That's so incredibly exciting! I'm so happy for you. I am beyond pumped for you! I think I checked into your blog about a hundred times yesterday to hear the news. So exciting and do well deserved.I can't wait to see it!!! yay! so excited for you and so looking forward to seeing it all! I'm THRILLED for you! What a blessing and I can't wait to see the reveal soon. Hi Lauren, Congratulation! I knew you'd get accepted. Can't wait to see it! That's crazy!! You are going to be so successful - see I told you! Oh, I wish I could be there and cannot wait to see your room. I know it will be the best and I will want to live in it and have fresh happy thoughts. And a bedroom/sitting room is awesome - you will make it comfortable and inviting and personal and very Laurenesque. Can't wait! A huge CONGRATS!!! And hopefully that pit has gone away??? (c: Can't wait to see the project! I always love the thrill of working on a design house! The thrill of it being finished ;) LOL Honestly, I do love it and its so fulfilling professionally. Congrats Lauren! I'm so excited for you, although I never doubted for a second that you'd get it. They'd be crazy not to have you. Can't wait to see how it all progresses. Hip-hip-hooray!!!! Of course you got it--you are insanely talented! :) Have fun putting it together and can't wait to see it! what to add to the wonderful comments? just a personal and excited congratulations lauren!!!!! the knot is gone and the heart flutters must feel great. i will enjoy saying "i knew her when"! Congratulations, Lauren! How exciting is that? We all knew you'd be one of the chosen. Can't wait to see what you do - it'll be great, I know! WOOHOO, Lauren! I am so excited for you. Can I, too, say "I knew you when?" xoxo!! You'll be AMAZING! I will definitely look forward to attending a tour of the house this spring!! I am even more happy for you than before!!! 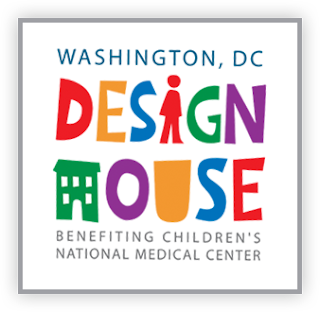 This whole time I thought it was DC Design Center that you were applying for, but now that I know it is the DC Design House, that makes it even better. How wonderful and sweet that you will be doing what you love, getting well deserved recognition and most importantly that it will benefit the Children's National Medical Center! A win win for all! Congrats! Thank you so much for all the kind words!! I will keep you posted and be sure to explain the process. Congratulations!!! can't wait to see what you do with it!!! !